Check out items with a valid photo ID at Library Services Desk on first floor. The number of items that can be checked out at once per borrower type is listed below, or see the Circulation Composite List for a complete list of item types and due date ranges. * Included as a benefit of Alumni Association Membership. ** Special Borrower cards are available to any community members and the fees are $20 for the first year and $10 in following years. Choose the option with the number of "items currently checked out"
Materials may be renewed online up to 2 times (or in-person at the Library Services Desk) unless requested by another patron.If you try to renew a third time, “too many renewals” will appear next to the due date. This item may no longer be renewed and must be returned to B. D. Owens Library as soon as possible. Items may only be renewed within 7 days of the due date. If you try to renew an item more than a week before it is due, the note “too soon to renew” will appear next to the due date and the item will not be renewed. Please wait until closer to the due date and try to renew the item again. 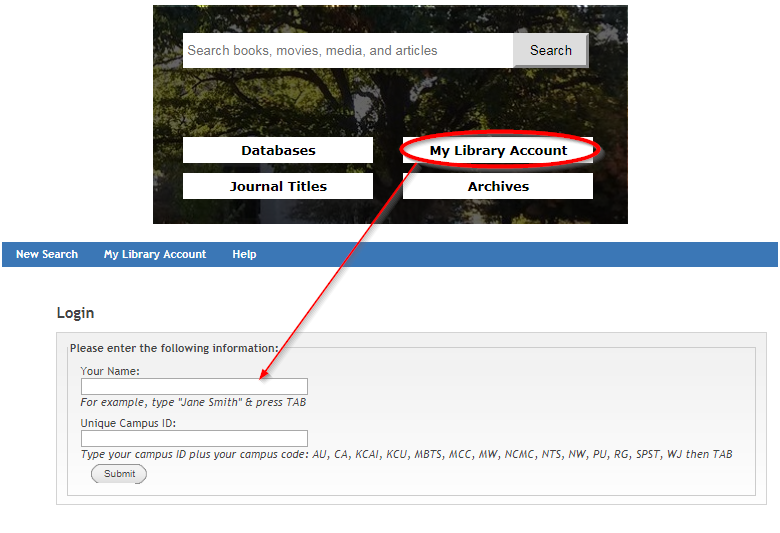 "Holds" are placed for patrons when they request materials that are currently checked-out. All loans are subject to recall after the initial loan period if a request (hold) for the material is made. If you try to renew an item online that another patron has requested, you will see an “on hold” message next to the due date and you will not be able to renew the item. In such cases, please return the item to B. D. Owens Library as soon as possible. After returning the item in question to the library, please ask a librarian to assist you in placing a hold or locating another copy if you need to use the item again. Please return items to the indoor bookdrop at the Library Services Desk when the library is open. When the library is closed, use the outside bookdrop by the front doors. All items are checked in the same day they are received; there is nothing left in the bookdrops at closing time. Place items used in the library but not checked out on any of the wooden book carts located throughout the library. Please do not reshelve materials. Thank you! Community members with a Maryville Public Library card may borrow from B. D. Owens Library, and Northwest Missouri State University students, staff and faculty may borrow from Maryville Public Library (MPL). 1. For Bearcats that live or own property within the City of Maryville taxing district, MPL issues a regular resident MPL adult card which provides full access to 35 physical items at a time, and all of our electronic resources that other paid patrons have. To get a MPL card, bring in any photo ID, two proofs of a current address (current utility bill, check, any mail with their address, voter ID or lease agreement will work) If you don't live within the district, but do own property within the City, also bring your current property tax receipt. 2. For Bearcats that live outside the city taxing district: Bring in your Bearcat card to MPL to get the nonresident fee waived and you can borrow up to five physical items at a time (excludes musical instruments). Also bring in a couple of pieces of mail or other proof of address just the first time to get set up. You will be able to log in to ReferenceUSA, but remote access to the other electronic resources will be limited to paying cardholders as of October 1, 2018. Currently, the annual non-resident fee per household is $38. Due to the levy increase that Maryville residents are now paying, the non-resident fee will be readjusted on January 1, 2019.